The chocolate chip cookie, a classic that we all grew up eating hot out of the oven with a cold glass of milk, right? 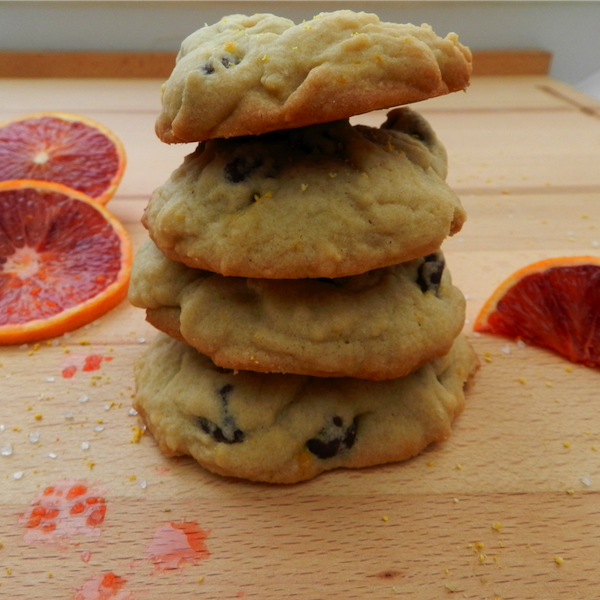 Well, consider this a grown up version of your favorite go-to cookie. 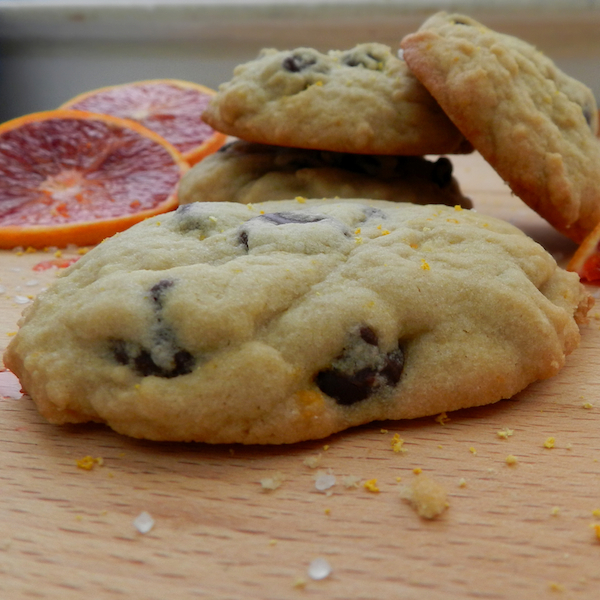 This Dark Chocolate Chip Cookie has all the sweetness you remember, with an added citrus zing and sea salt finish. What’s not to love about that? 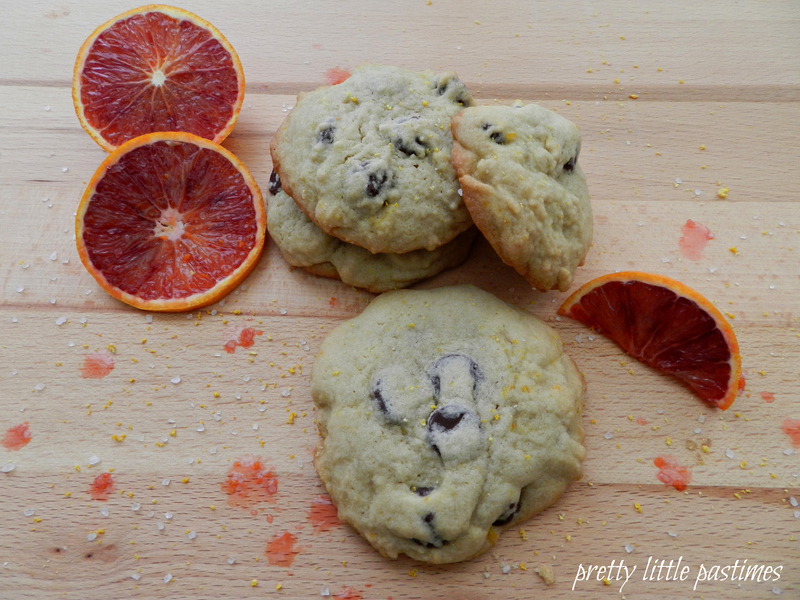 Next time you find yourself face-to-face with Blood Oranges, grab some of these colorful cuties and add them to your favorite orange recipes. I can’t wait to try them in some frosty beverages for a pop of color and tartness! 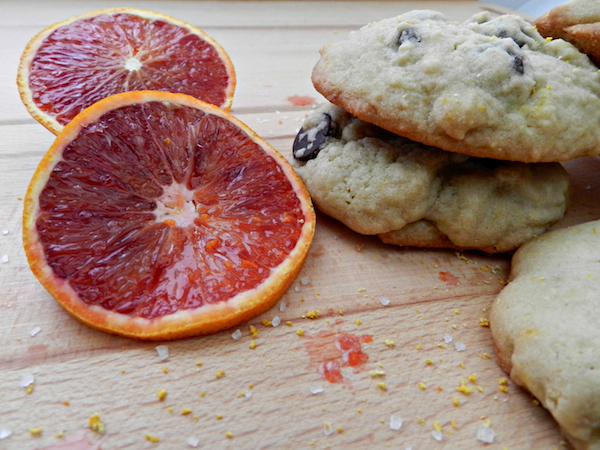 But for now I will take my Blood Oranges with a dose of chocolate! In a small bowl combine flour, salt and baking soda. Set aside. In a large mixing bowl, cream together butter and sugars until fluffy, about 5 minutes. Incorporate eggs, one at a time, until combined. Add vanilla, zest and blood orange juice. Mix until evenly distributed. Slowly add in the flour mixture, stirring to combined. Once thoroughly mixed, stir in the dark chocolate chips (be careful not to over-mix). Preheat oven to 350 degrees. Drop the chilled dough onto a cookie sheet covered with parchment paper. Bake for 8-10 minutes, or until edges are slightly golden brown. Remove the cookie sheet from the oven and let sit for 2 minutes before transferring the cookies to a wire rack. Sprinkle tops with a small amount of sea salt and enjoy!